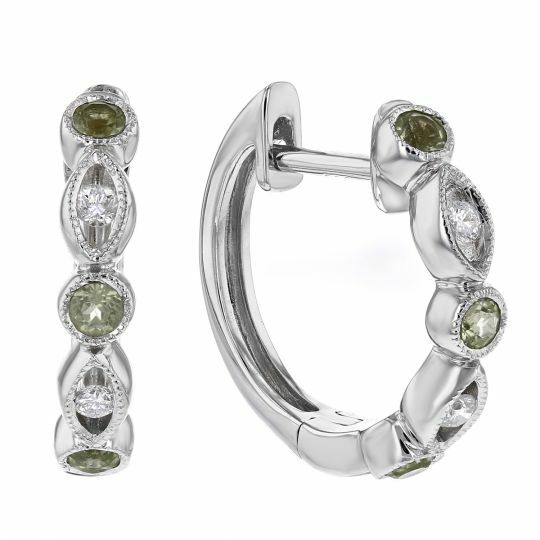 Called the “gem of the sun”, August’s birthstone sparkles in hues of green and is commonly found near volcanic activity. 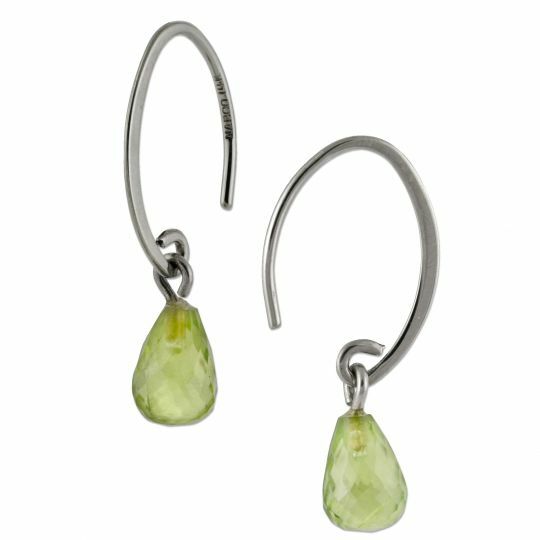 In ancient times, these gorgeous green gems were believed to ward off evil spirits and people with malicious intentions. It was also said to improve relationships and marriages. 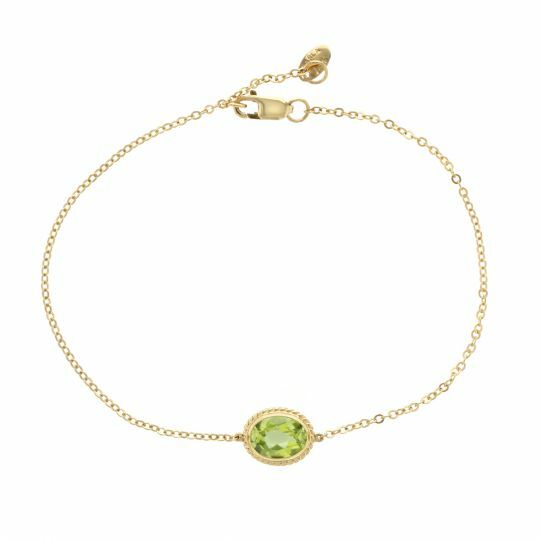 Both Leos and Virgos can find a wide selection of peridot jewelry to add to their birthday wishlist that will last for ages. 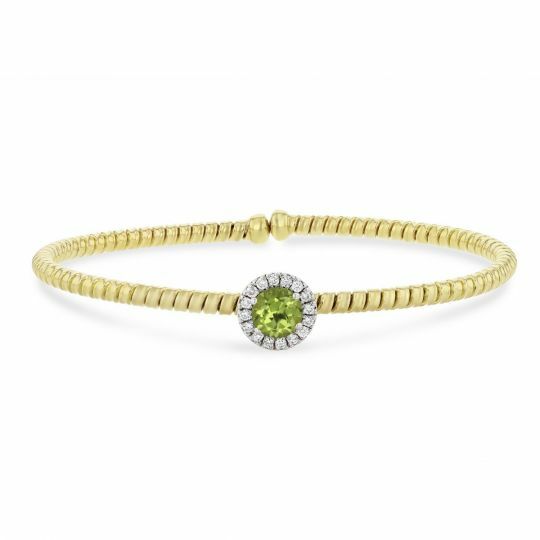 To help celebrate this birthstone, we’ve rounded up a few fun peridot facts and some new arrivals to Borsheims.com for gifting inspiration. Ancient Romans often referred to the gemstone as the evening emerald because its green hue was especially vivid in candlelight. Peridot was first discovered on Zabargad Island (St. John’s Island) in Foul Bay, Egypt, 4000 years ago. The gemstone was called topazios in ancient times, hence the Greek name for the island, Topazios. 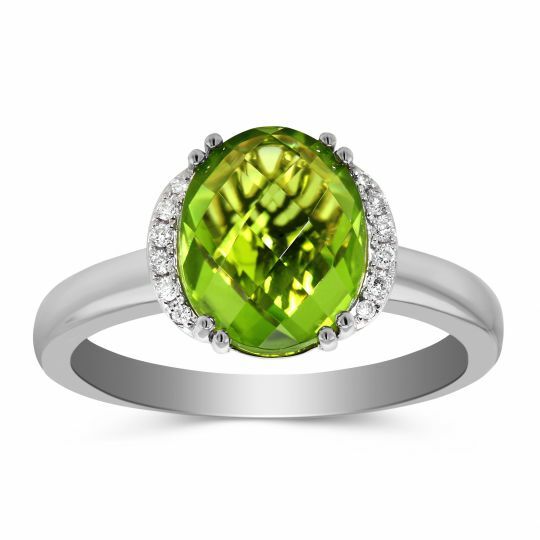 Egyptians mined peridot gems during the night because it was believed that they were easier to find during nighttime. 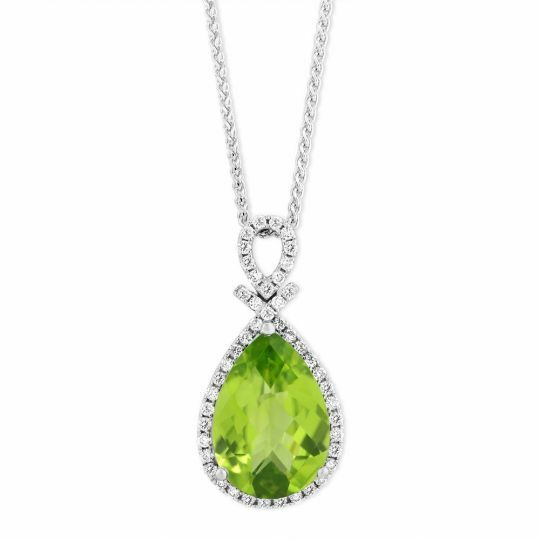 Peridot is mined around the world, including Australia, Brazil, China, Kenya, Tanzania, South Africa, Mexico, Myanmar, Norway, Pakistan, Sri Lanka and several States in the U.S. (Arkansas, Arizona San Carlos Reservation, Nevada, New Mexico, Hawaii). 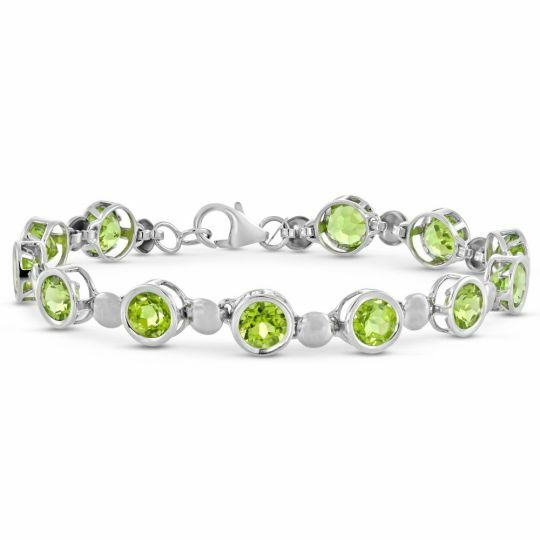 In Hawaii, peridot is thought to symbolize the tears of the goddess Pele. Some beaches there even have tiny grains of the lime green gem too small to cut. 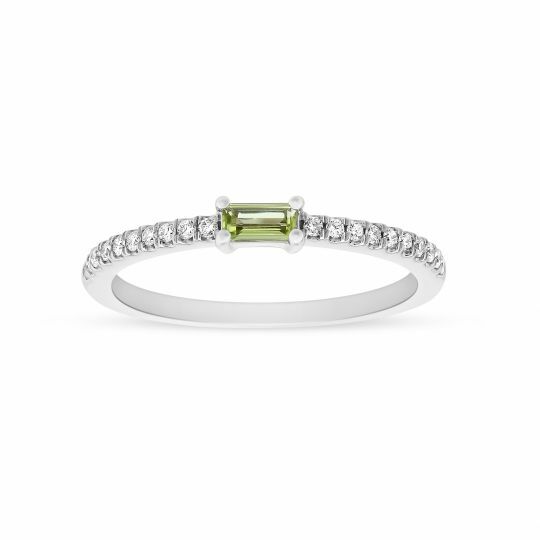 It is considered one of the more affordable green gemstones on the market. Peridot is the only gem found in meteorites. 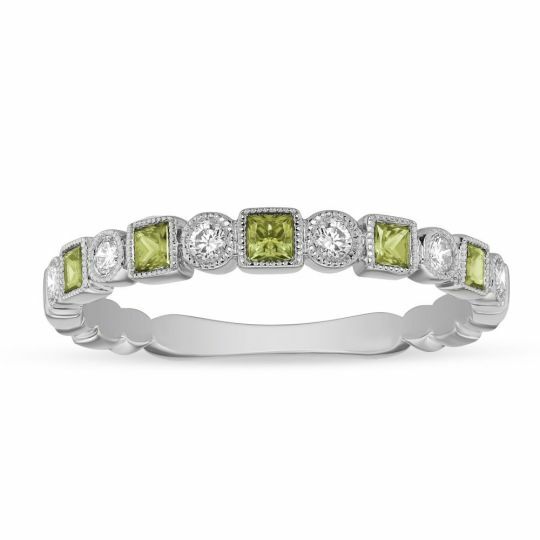 Ancient lore believed that the lime green gem could ward off evil and enchantment. 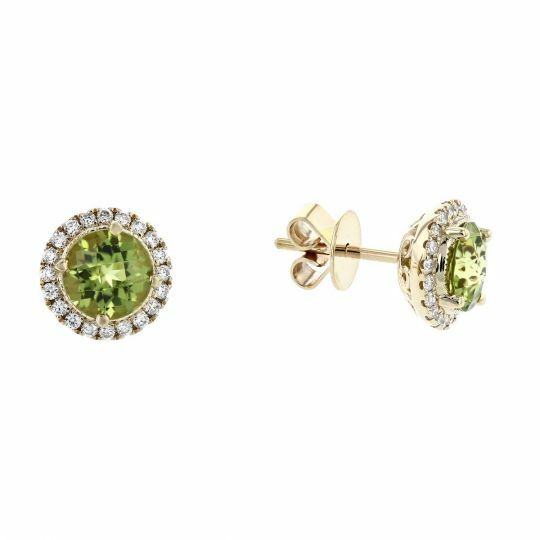 Peridot was often mistaken for emeralds throughout history. Many believed that the green stones which weigh more than 200 karats embellishing the Shrine of Three Kings in the Cologne Cathedral were emeralds. It was later discovered that the stones were, in fact, peridots. The largest peridot weighs around 46.16 karats from a mine in Pakistan and can be found in the Smithsonian Museum. 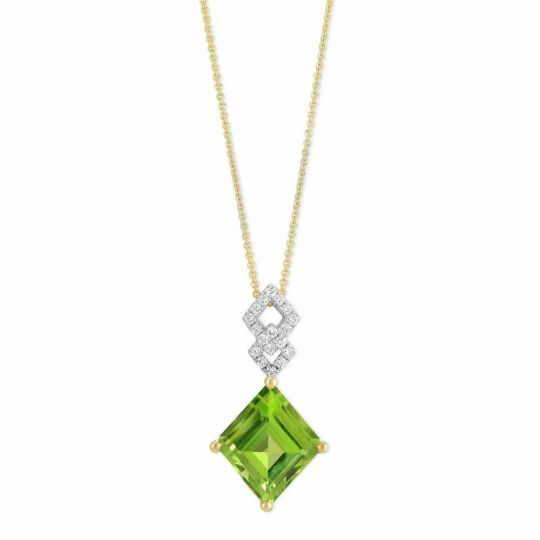 For more peridot facts, treatment and care tips visit our gemstone guide here and browse below for necklaces, rings, earrings and bracelets sure to put a smile on any August babies’ face.